Non Profit Event Management IN CHICAGO. The Better Boys Foundation was looking for Event Management services to help increase revenue for their annual gala fundraiser. We helped offset costs and increase the proceeds raised for vital programming and services to combat poverty. Over the course of 5-years, Joanne Klee Marketing partnered with the Better Boys Foundation for their annual fundraiser 'Friday Night Fights' success and to ensure great marketing, cost savings and revenue goals were met. All the graphics design needs were met with great designs for the program books, ticket sales, and event signage. Changing the design year-to-year yet maintaining tone, message, and brand consistency of the organization are included in the event management services Joanne Klee provides. Graphic design is just the beginning of great event management content. We develop the invitation design and eloquence in the wording. On the interior of your program book, we include all copywriting needs. Message from the co-chairs = check. The evening program and event agenda = check. And behind the scenes we stick on the timelines to your agenda to make sure that all the planned events will fit into a solid timeline. Joanne Klee Marketing and Events will develop the committee structure and manage the committee meetings. We ensure that everyone understands their committee member role, and the goals of the group. We attend the meetings, scribe the notes and report back to management, while keeping track of the details to make sure it all gets done. From a committee driven event to a team of employees, we keep everyone on track with proven project management on the event planning space. We can plan their tasks and keep everyone on time. Efficiency matters. All in a fun, approachable way. "Amatuer Boxing Fundraiser Helps Knock Out the Effects of Poverty"
We provide the media relations strategy for non-profit organizations and fundraisers. We go beyond the press release and reach out to local contacts specific to your event to promote and create excitement for added media attention. It's a full service event plan with PR integration. I worked with Joanne Klee multiple times at the Park West. The events Joanne did with use were benefits [fundraisers] with tight budgets, but her end clients and their guests expected them to also be of the highest quality. Working with Joanne was a pleasure because she was extremely organized. She was professional, respectful of our venue’s policies and always cheerful. I know that she put in long hours in the planning and execution stages of these events, but her attention to details never waivered and neither did her positive attitude. New Center Grand Opening Events. Multi-Day Event Series. We developed the BBF newly constructed center 'Grand Opening Event Series.' The 3 Days of events included Friday Family Night, Saturday Donor Soirée, and Sunday Community Open House. We provided Full Service Event Management so the non-profit staff could mingle with the families and donors. We manage the event details from the pre-production and sponsorship development, to the onsite details of auction management and vendor services. We manage the details to ensure event success. We handle all the event details, in Chicago and nationwide. Our event management experience allows an understanding of your business goals related to the conference or fundraiser, and the services to plan for the best event. 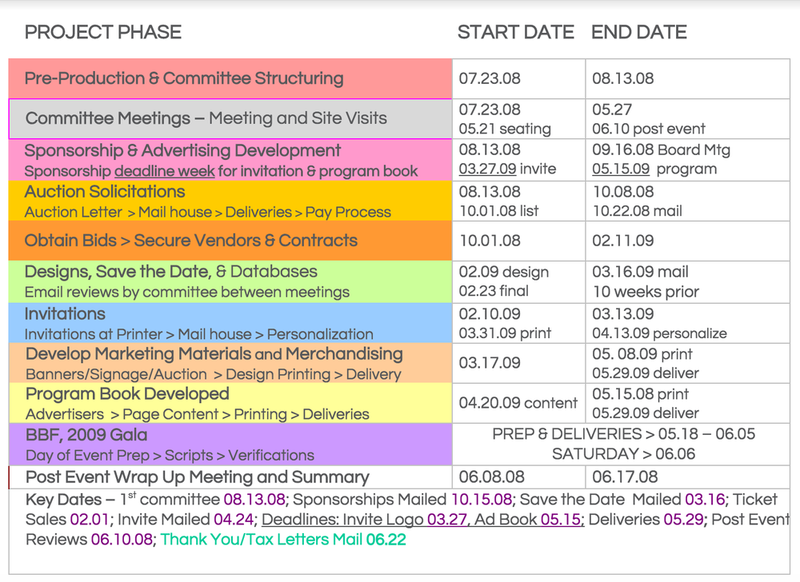 Here is an excerpt of our "To-Do List" when planning your business function. POST EVENT. It's not over yet, ... post event survey consolidation, committee assessments and de-briefings. Our success with the Better Boys Foundation was long standing for over 5 years of event and marketing services. Joanne Klee Marketing and Events provided marketing, graphic design and advertising services. Learn More about the Better Boys Foundation Event and their Non Profit Organization history. You can have Excellent Event Management? Contact Joanne Klee Marketing Today! Our Joanne Klee Marketing firm grew our partnership with BBF Board Members where we had the success of working with The Joseph Kellman Family Foundation and the Gale Sayers Center. See the Beach Ball Fundraiser here in Events and below in Gale Sayers Celebrity Golf Open. Joanne Klee Marketing and Events provided Full Service Event Management for the Gale Sayers Foundation, with founder and former Chicago Bears Running Back, Gale Sayers. For Board Members of BBF, we provided Full Service Event Management for The Joseph Kellman Family Foundation.